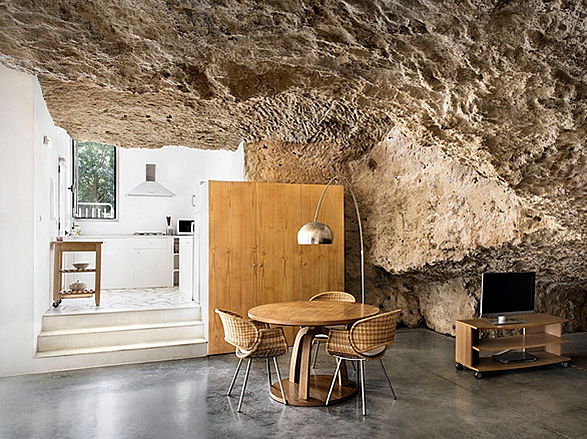 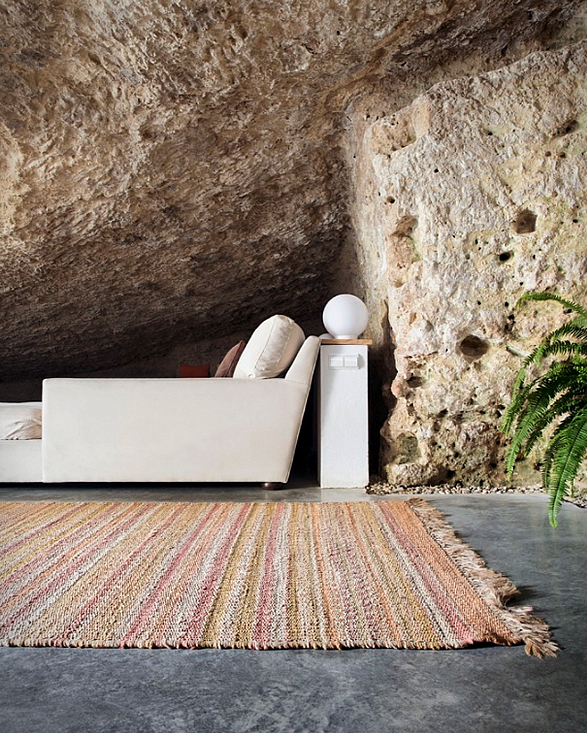 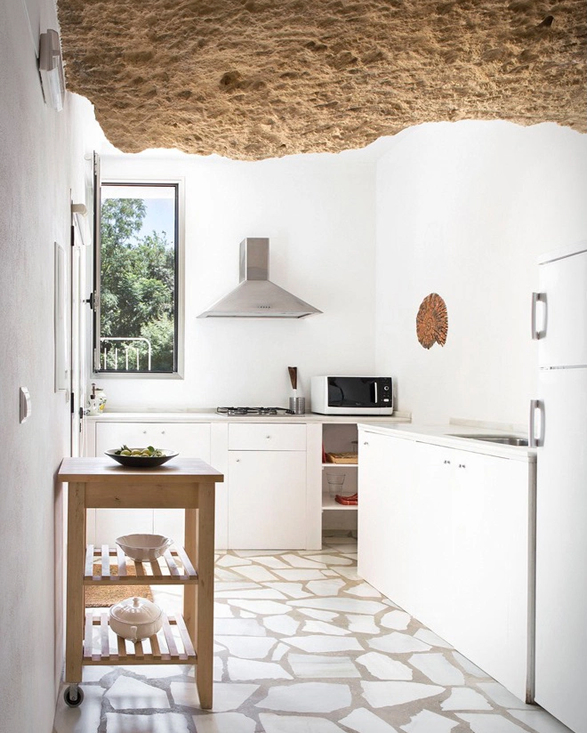 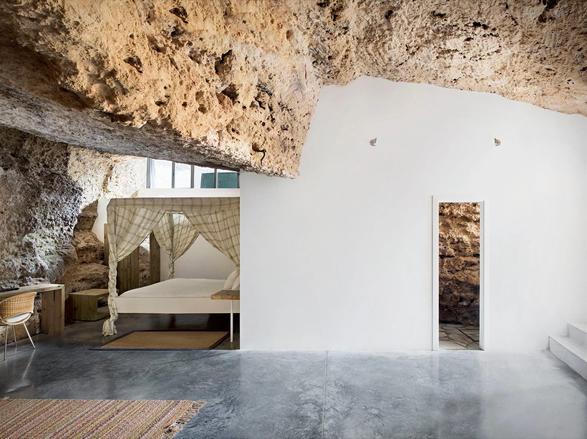 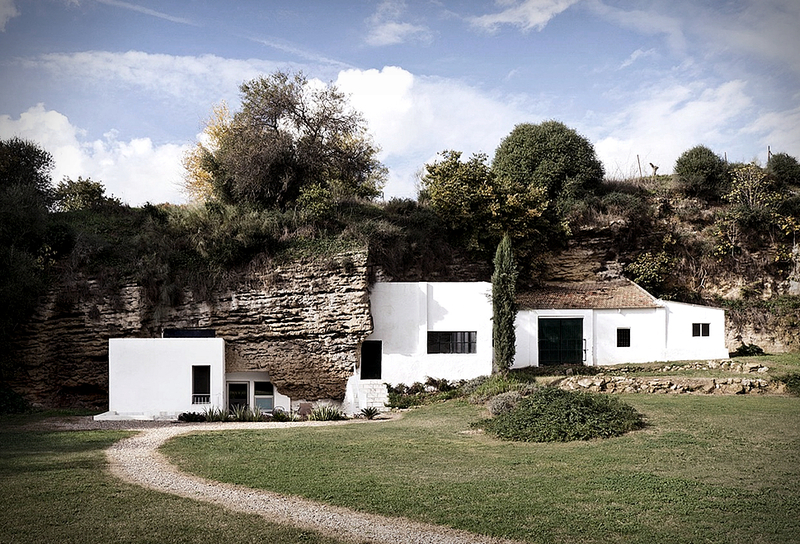 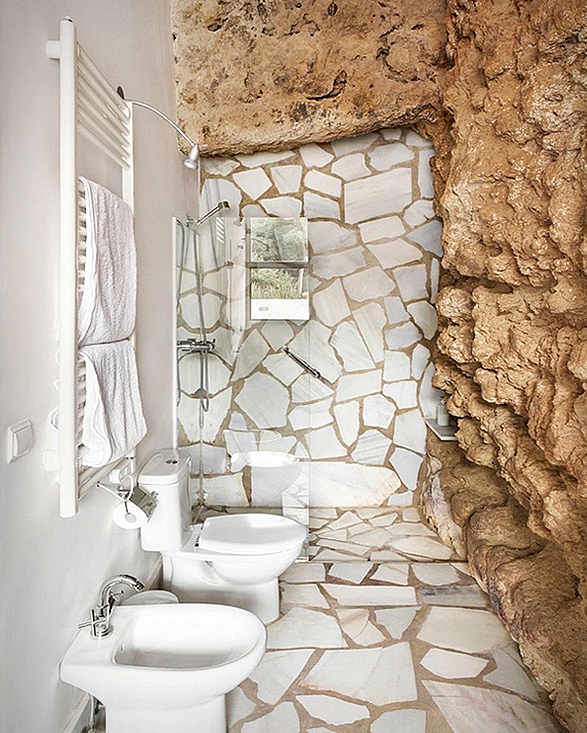 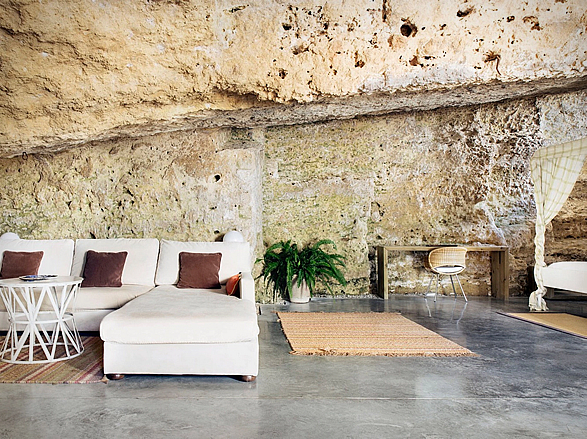 Cave House is an adventurous and modern living space located in Cordoba, Spain. 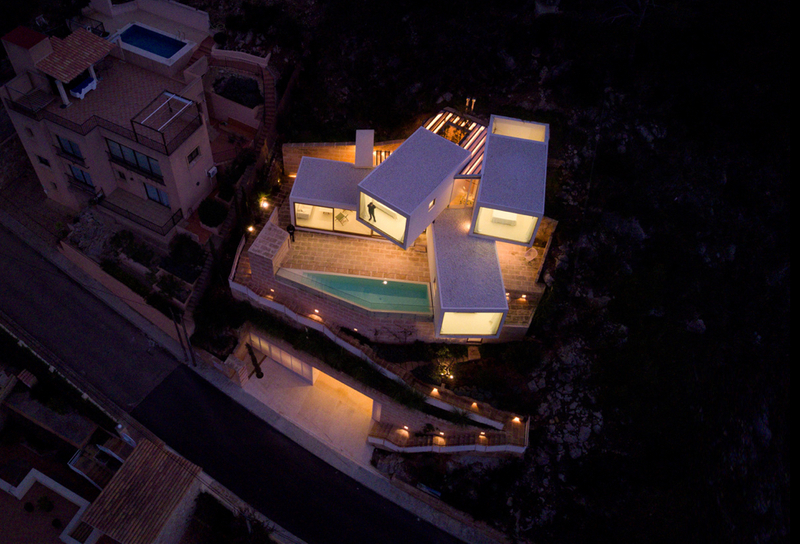 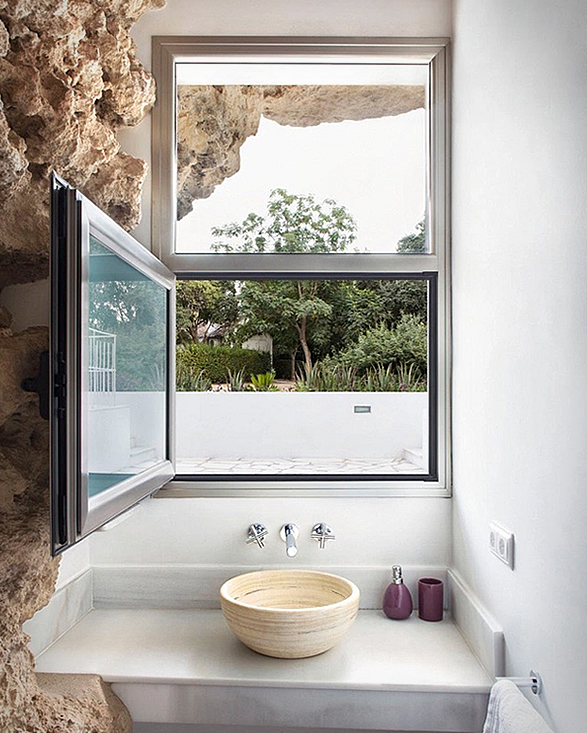 The ambitious and unique project was designed by UMMO Estudio, named "Cuevas del Pino”, the impressive estate sits in the foothills of the picturesque Sierra Morena mountain range and was cut right into the rock strata. 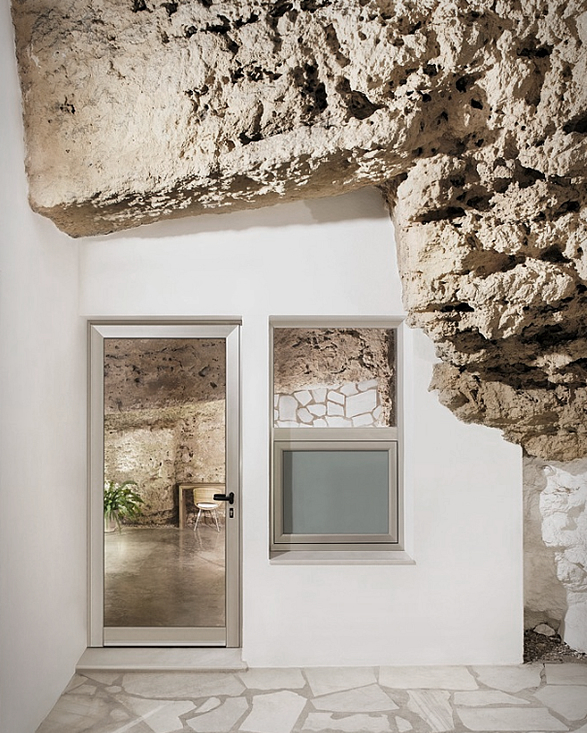 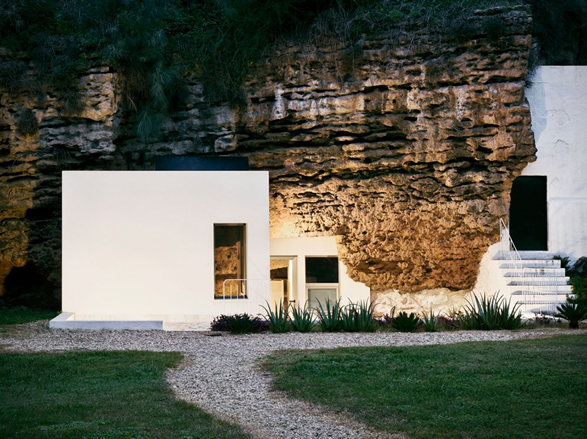 The 1,120-square-foot cave house boasts several glass openings to let in natural light as well as concrete and marble flooring, it was built around the natural surroundings, forming a naturalistic look and feel to the living space. 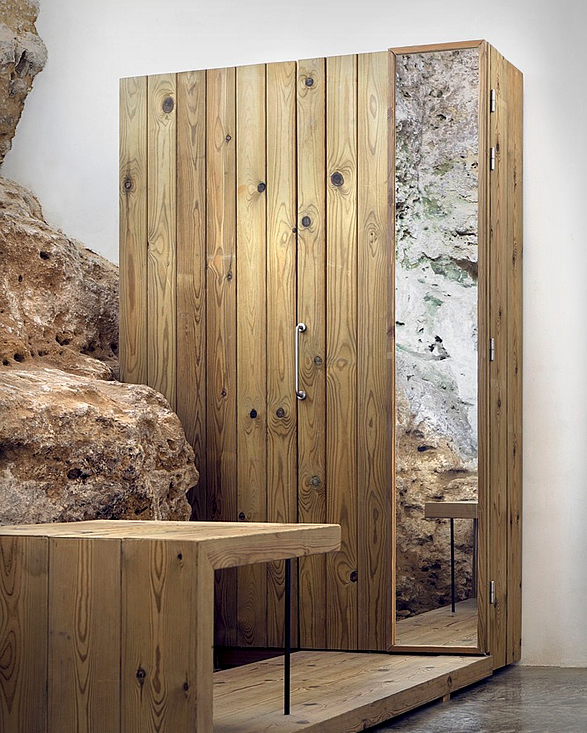 Beautiful handcrafted wooden furniture was added to give warmth to the impressive house.